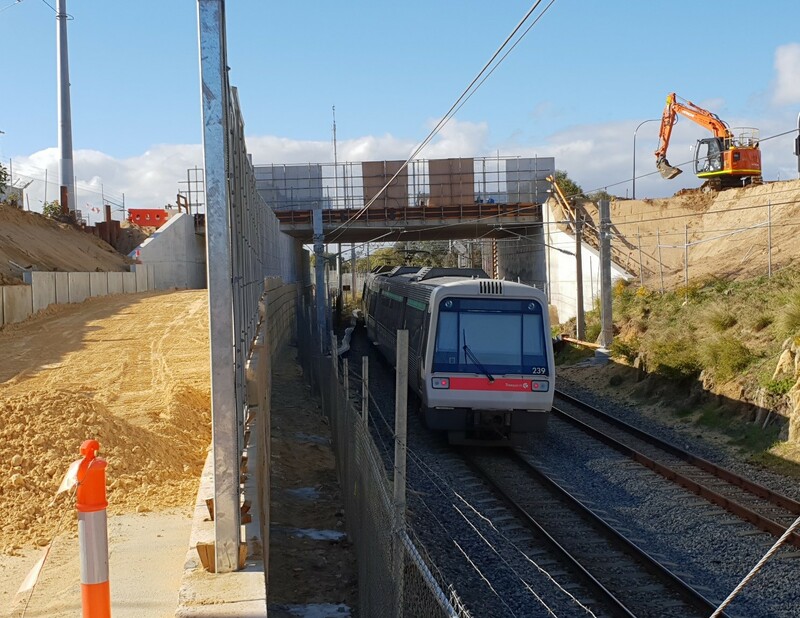 Replacing the ageing Ashton Avenue Bridge over the railway in Claremont in 2018. The old timber bridge was built more than 100 years ago and replacing it with a modern steel and concrete structure will ensure it is suitable for all standard vehicles. Melchor Contracting were engaged to perform all the formwork, steel-fixing & concrete placement, as well as the direct supervision of the works. Works included construction of abutment wing walls and deck pours. A feature of the project was the bridge construction over the live PTA metro train line.